Upon looking at Faith Evangelical Seminary's website, you would be tempted to think that the institution is on par with ATS or regionally accredited institutions. And while FES may have much to offer potential students in the immediate area, there are reasons why the seminary is accredited only by TRACS and not by a regional accrediting agency or ATS. One red flag that is applicable both to the college and to the seminary is that there is zero merit-based or need-based aid offered aside from government-sponsored loans (or Pell Grants for undergraduates), a sign that the school's financial picture is perhaps quite no so rosy. Any school with even a moderate endowment offers some type of scholarships or need-based assistance. FES offers none, a warning sign to any potential student. Unlike other schools that are TRACS-only accredited, Faith does offer some quality offerings from its faculty and has many faculty members who have impressive credentials; however, such faculty are limited in number. It's also worth noting that the majority of faculty members hold a DMin degree rather than a PhD or ThD. Also, the seminary highly promotes its "life coaching" program, something generally not associated with a respectable seminary or divinity school. While the Life Coaching Institute might have something to offer its students, one must question whether a school supposedly devoted to theological higher education is the proper venue for such a program. Before you attend a school such as Faith Seminary, you also have to be aware of the viability of transferring to another school or pursuing an advanced degree such as a PhD or even a DMin. Some schools simply will not accept a TRACS-accredited school, either as transfer credit or as a prerequisite for further graduate study. So, once you start at Faith Seminary, it may be necessary for you to finish your degree there or, if you wish to transfer, to accept the loss of credits. 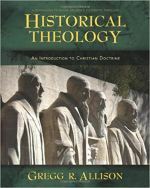 Still, for students in the Tacoma, WA area who desire a seminary education that emphasizes the inerrancy of Scripture and who can pay for the tuition costs out of pocket, Faith College & Seminary may be a viable option, so long as they are aware of the possible downsides to attending an institution with limited accreditation. Faith's MDiv and MA programs have some attractive qualities that, for some students, could possibly outweigh the school's limitations.